Do you think we missed a new app that's cool and needs to be in this list? Drop its name in the comments below! There are a lot of glitch art apps on the iOS store and this one adds to the pile. That's certainly not a bad thing for those that love adding some visual distortion to their footage — it's just another tool to add to the box. 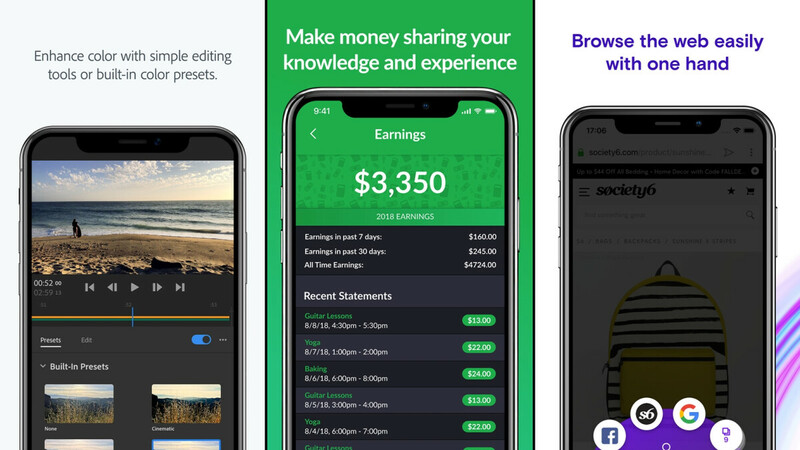 The free version is a bit limited, but you don't need to pay the $5 fee to get the gist of what this app can do. 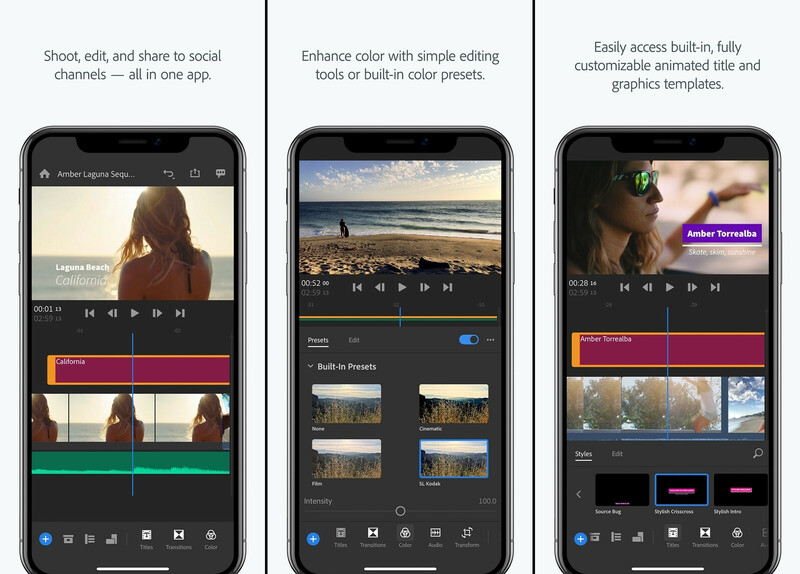 This is Adobe's video editor for iOS. 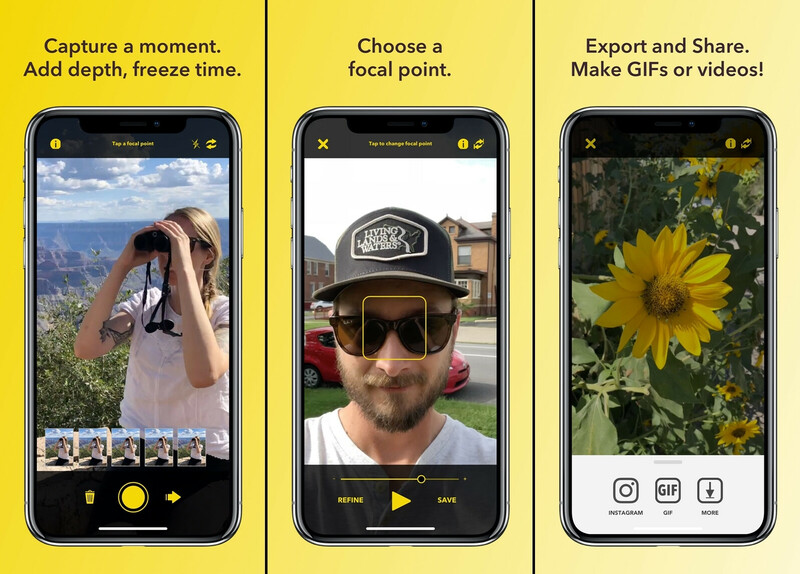 It's designed to cover the essential features with an optimized UI, so you can use it to churn out quality clips for your social media without needing to get to your PC. It's a multi-track editor of sorts, but you can only put images and audio in the extra tracks — there is no picture-in-picture video. There are no keyframes, too, which we are a bit bitter about. But none the less, it's a pretty cool, fast, and stable video editor! 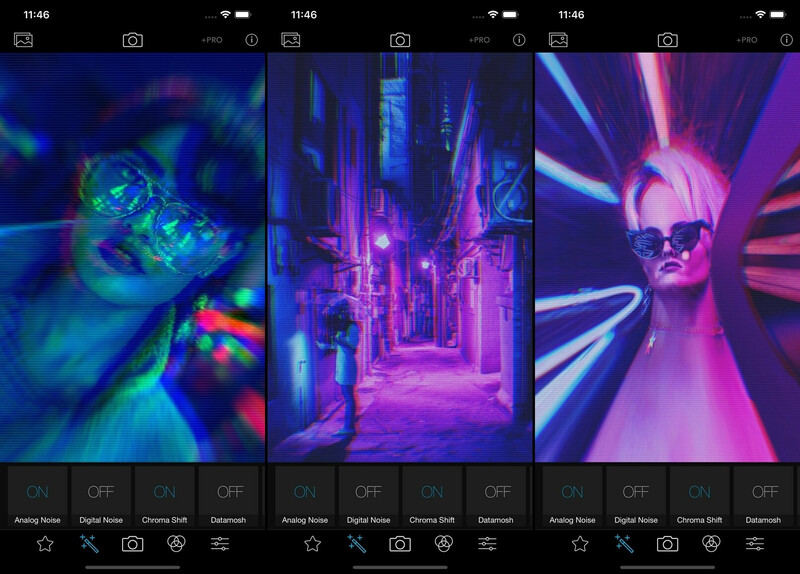 This app takes a few photos in a short period at different focal lengths or at slightly different positions. Then, you can export a GIF or short clip, which emulates a "living picture" or a time-freeze effect. 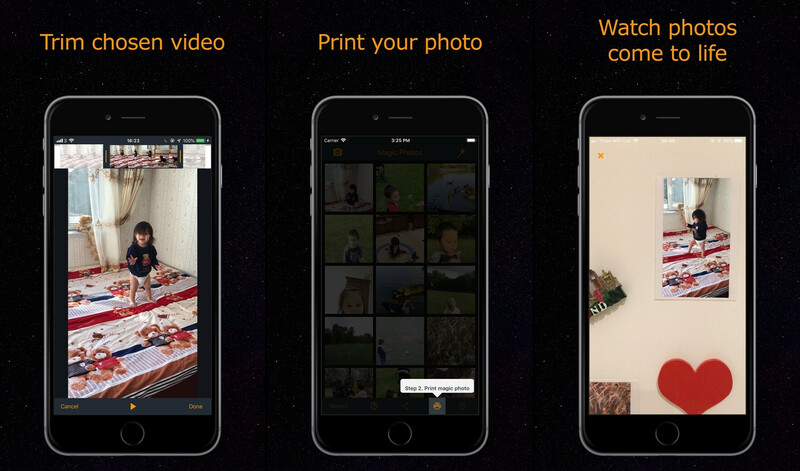 This app uses AR to make your real-world still photos come to life. First thing's first — have a video on hand. Choose a snapshot from that video and print it as a photo. Then, hang your photo on the wall and use the Magic Photos viewfinder to see it come to life on your phone screen, whenever you point the camera at it. In a world where everything is vying for our attention, from the phones in our pockets, to every billboard and screen on our daily commute, the buzzword is "mindfulness". It's basically a practice of trying to actively think about your current activities as well as know your mind well enough to be able to build good habits and get rid of the bad ones. 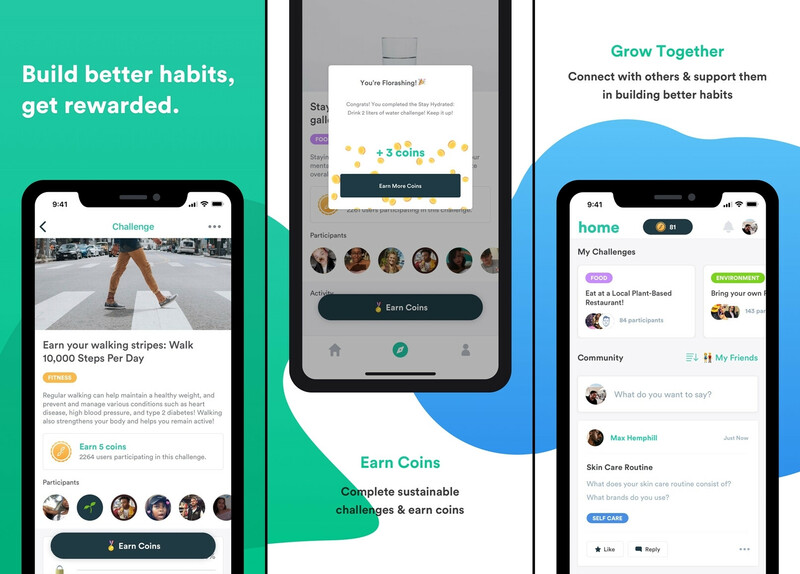 This app helps with that, with tips, challenges, and even a community to get in touch with. Want to learn something fast? Or do you have enough skill in a specific field that you think you can tutor others on doing it? 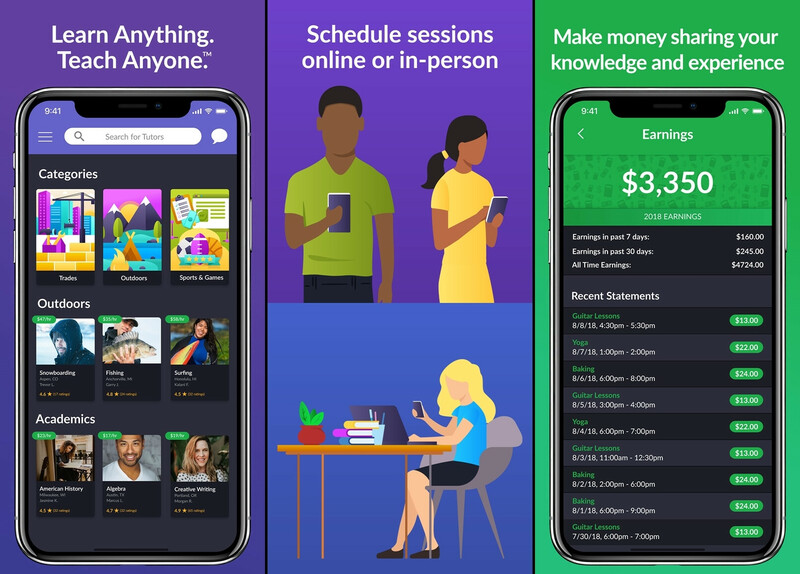 This app connects people that want to learn with people that want to teach. And yes, the latter can actually make some money on the side while doing this! There are over 9,000 subjects to choose from, so go ahead — see if yours is there. 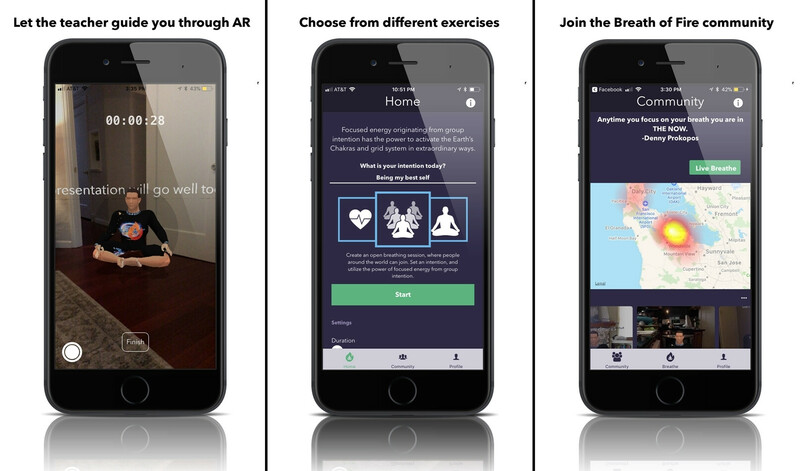 A meditation and breathing guide with a fun twist to it — this app uses AR to put a virtual instructor right there with you, in the living room. Now, breathe! 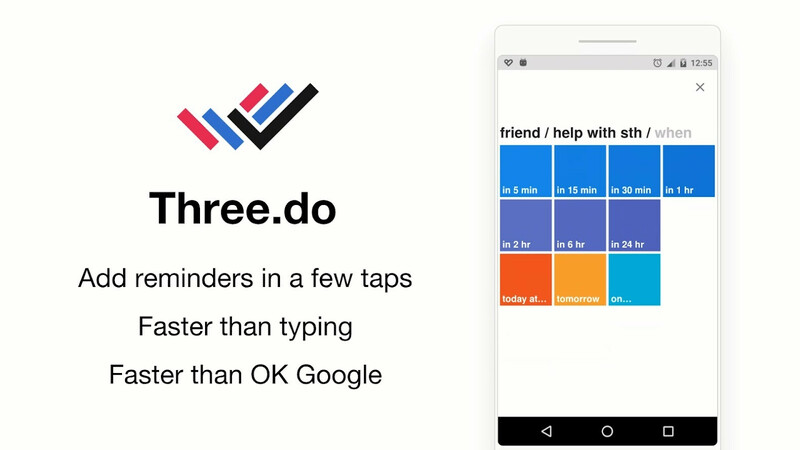 A reminder app that makes it super-easy to set up quick notes and reminders. You need to answer three questions — who, what, when? And bam — your sticky note is ready! 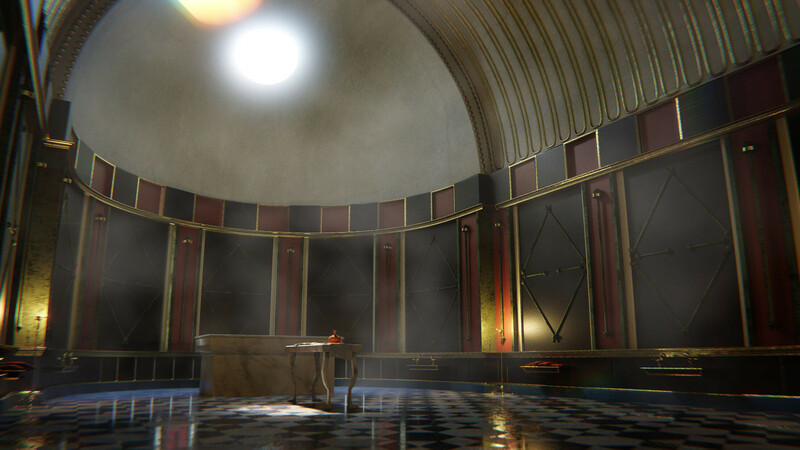 This is a VR tour app, which lets you explore ancient Roman city of Asolo! If you don't own a set of VR goggles, you can still do it in 2D. But, if you have a cardboard with a couple of lenses in it — put that baby on your head and dive right in! Opera is a popular browser of old that has always tried to do things a bit differently. Back in the day, the PC browser openly embraced mouse gestures as a baked-in feature. Now, its experimenting on both desktop and mobile. Opera Touch is designed with large smartphones in mind and its UI is made to be comfortable for one-handed use. Tab-switching and search functions are all hidden in a single pill button, located at the bottom of the screen. Tap and hold and it turns into a command wheel. You can sync it to your PC's Opera and transfer pages, bookmarks, and personal notes between devices. A cool synth that will help you make nostalgic-sounding 8-bit tunes. Think NES-style sounds. Of course, the app supports MIDI and Audio Units, but can also record tunes and share them as .wav files on its own. A light launcher, which builds on top of a Pixel-like launcher interface with some more gestures, themes, and support for external icon packs. Once you set this app up, it makes it super-easy to send yourself links for later reading. InboxIt appears in the share menu of your browser. Just tap it and you send the current website to yourself as an email. Then, you can check back on it from absolutely any device (that has access to your email). Kind of like a personal reading list, but it uses your mail. This app makes it easy to send files or plain text across all your devices. 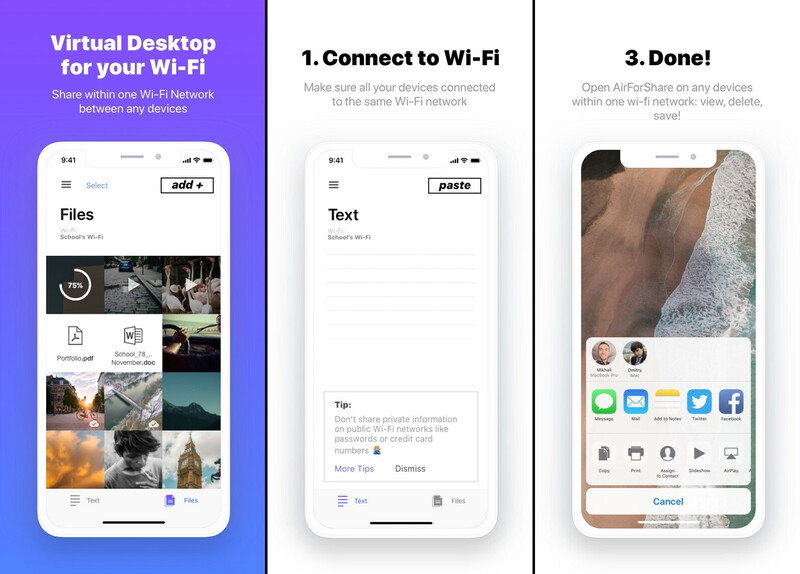 Make sure your PC and your mobile phone (Android or iOS) are on the same network and upload your desired files to AirForShare.com. You can now download them from your phones. The same works in the opposite direction — you can share any file or piece of text from Android or iPhone to another mobile device or your PC. Uploads get deleted in 30 minutes but, still, don't use this to transfer sensitive data. Also, the free version will limit you to 5 MB per transfer, so forget about uploading those 4K video clips without paying for the pro subscription first. This app will replace your Google Assistant shortcut with another function of your choice. Be aware — this will not change the function of the LG G7's hardware key or the Samsung Galaxy S9's Bixby button. However, it will work for the "tap and hold on Home button" gesture. 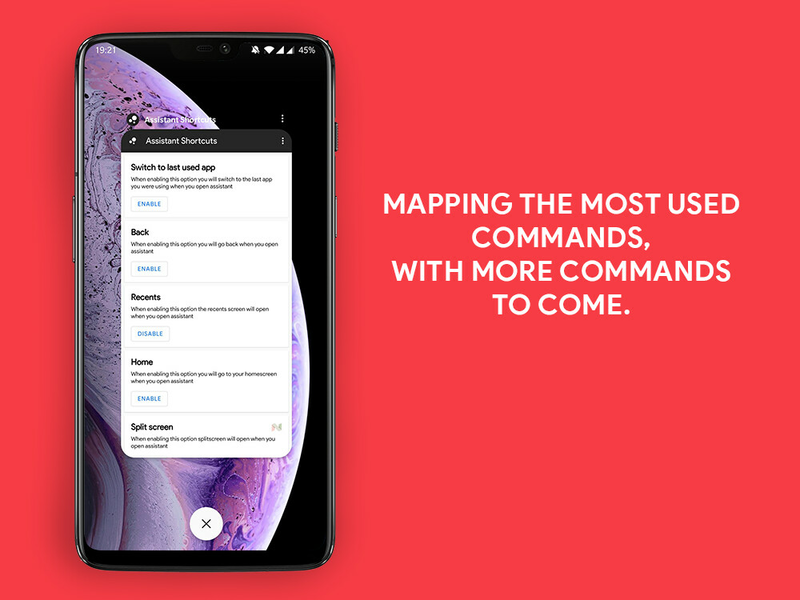 It will also work with OnePlus' new "hold power button for Assistant" feature. Cloud gaming is definitely in the near future. As of right now, there are a few services that offer it, but they are not trouble-free. 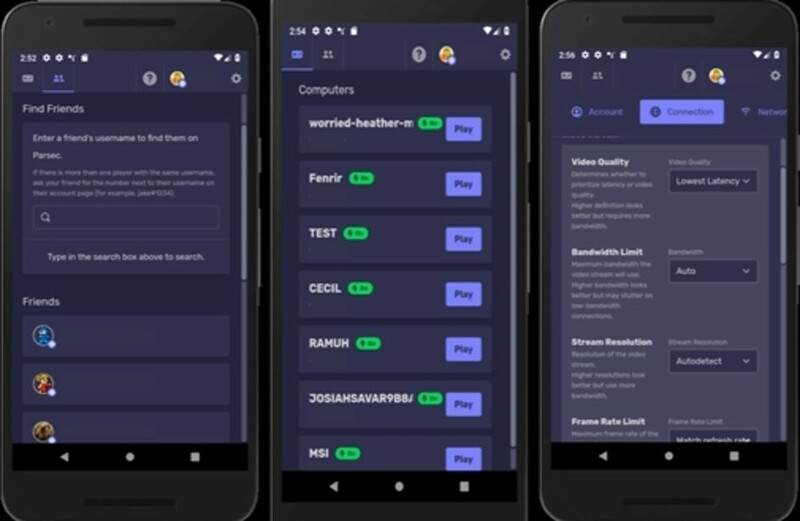 Here's Parsec — a new app that'll let you "rent" a PC and have it stream console-grade games to your Android smartphone. I never take the time to write comments but I had to make an exception being that this app QuickTutor is really something else! I’m actually able to make set my own hourly rate within mintutes of downloading! Thanks phonearena!